The Grand National is the one contest a year which will attract many people who wouldn't usually watch horse racing, to have a bet on the races. Fans of the sport that watch racing all year round will study the form and select their winner based on a number of requirements that would profile as a likely national horse, such as stamina or ability to jump unique fences, whereas people who enjoy the spectacle of the national as a 'one-off' choose to single out more random elements, such as colours, names and lucky numbers. Looking back at past renewals, there are some common trends that we think will help you select your winner of this year's Randox Health Grand National, if you are someone who likes to study all the homework behind the runners, or for those newbies out there that want a bit of further support. The first component we will observe is the actual ability to race. Horse's with low numbers indicate they are at the top of the handicap, meaning although they carry more weight than the higher numbers, it is down to the fact they are 'better' or 'classier' horses. However, having to carry big weight has proved a huge disadvantage in the past over this mouthwatering test of stamina and longevity. Since 1978, 124 horses have tried to win with more than 11st 5lb on their back with just two winners – Many Clouds (11st 9lb) in 2015 & Neptune Collonges (11st 6lb) in 2012. 22 of the last 28 winners had carried 10st 12lb or less. This year's big favourite Tiger Roll - who won with 10st 13lb last year, carries 11st 7lb this time around after Nigel Twiston-Davies withdrew Bristol De Mai, leaving Anibale Fly to top the field at 11st 10lb. Regardless on the weight you carry, stamina is an absolute must when building up a national CV. There are few races a season that can prepare the runners for this nail-biting four-and-a-quarter-mile steeplechase, and even individuals who do find a similar prep; you do not know how much it takes out of them. The four-miler at Cheltenham usually bodes well, as does the Glenfarcas Cross Country Chase, along with the Peter Marsh at Haydock and the Classic Chase at Warwick. Many do arrive off the back of a rehearsal over three miles indicating they want further. You have to go back to 1970 to find the last winner of the Grand National who had not previously won over three miles. This race is a unique trip and plenty of the runners will fail to stay the distance, so finding a horse who will be strong towards the finish is absolutely crucial. Eight of the last ten winners of the race had previously run over a trip of 3m3½f or further, with the only two exceptions being Many Clouds (2015) and Ballabriggs (2011), both of whom were owned by Trevor Hemmings, who has Lake View Lad and Vintage Clouds this time around. Experience is a vital attribute when looking back at past Grand National winners with horses aged 9 years-old or older certainly the ones to focus on. You have to go back to 1940 to find the last seven-year-old to grab the Merseyside marathon, and Ramses De Teilee will bid to defy that statistic - the only horse under eight. 23 of the last 28 winners were aged 9 or older, but it is worth pointing out three of the last four winners were eight-year-olds, suggesting there might be a bit of a turning point in this age stat. Horses aged between eight and eleven have won this race all but twice since 1989, with 12-year-olds Royal Athlete (1995) and Amberleigh House (2004) proving the only exceptions in that time frame. No horse aged 13 or older has won since 1923 or placed since 1969. Bless The Wings and Highland Lodge - who both are not guaranteed places at Aintree top the bill to fly the flag for the veterans. Folsom Blue is confirmed to run and will be the oldest horse in the race, if the former two do not make the cut. Course specialists are certainly hard to come by as the spruce-covered National fences are used very infrequently throughout the season. Unlike most tracks where course experience is treated as an obvious plus, only three of the last ten winners of this race have run over the National course before. Many recent Grand National winners have previously been tried over these type of fences in the past in either the Topham Chase and or the Becher Chase – or a previous run in the big race itself. 12 of the last 22 winners had won or been placed in a National-type race before, whereas six of the last 28 had physically ran in the Randox Health Grand National before. The big, imposing fences at Aintree do not allow room for error, therefore a neat and fluent jumper with a good record in the form guide of completing races is definitely deemed necessary. Only two of the last 22 winners had fallen or unseated their rider more than twice before tasting victory in this showpiece, which could signify trouble for Irish raider Rathvinden, who has hit the deck three times if you include his point-to-point fall. Horses bringing form figures of U or F into the race on their previous start is also perceived as a strong negative. You would instantly have doubts over 2017 winner One For Arthur, who has failed to complete on his last two starts this season since returning from injury. The current favourite Tiger Roll - trained by Gordon Elliott and owned by Gigginstown House Stud is likely to go off one of the shortest-priced favourites in the history of the great race - perhaps the shortest since Poethlyn exactly 100 years ago, who was sent off at odds of 11/4. Plenty of punters will believe a 7/2 shot in this race is totally worth taking on giving the dynamics of the race - which sees many horses get badly hampered as a result of others falling and spilling. Tiger Roll however does bring the best form into the race which cannot be ignored, and was a runaway winner of the Glenfarcas Cross Country Chase at Cheltenham three weeks ago - landing the race for a second time and a fourth career success at the Cheltenham Festival. However, connections will be fully aware that since the turn of the century, only three favourites have come home in front, with two of those (Comply Or Die  and Don't Push It ) holding joint favouritism. The average price of the Grand National winner in the last ten years is 33/1, sitting a healthy average alongside the statistic that all bar five in the last 28-years have returned at a double-figure price. 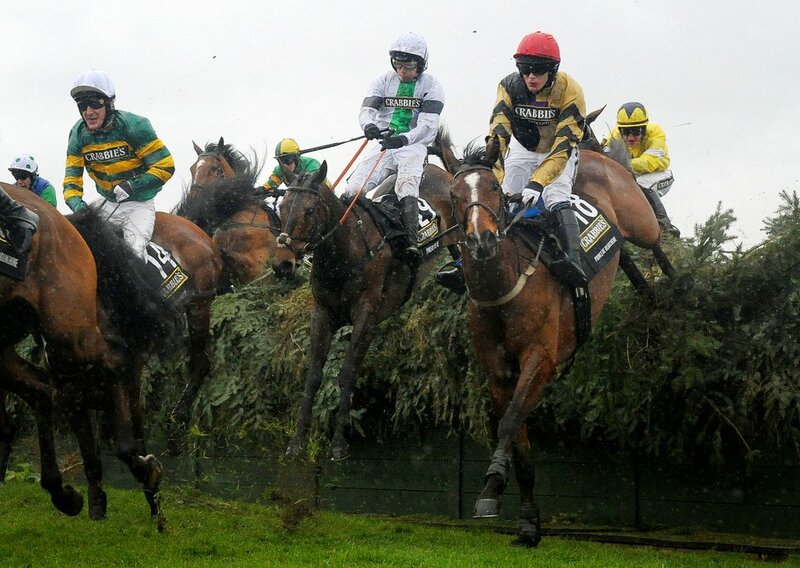 Most winners in recent years started in the first eight of the Grand National betting market (nine of the last sixteen) – indicating that despite the Venetia Williams-trained Mon Mome surprising all in 2009 at the grand odds of 100/1, punters usually come off the better. This year there is a standout favourite in Tiger Roll - who will also be looking to become the first horse since 1974 to win the race twice. The bookmakers will certainly want to get him beat; otherwise they may suffer the biggest payout in National history. Some other unique trends to get stuck into certainly concern where the horse is coming from. Ireland have several players in this year's field - with trainer Gordon Elliott hopeful of saddling more than a quarter of the field - which would be a new record, and with arch rival Willie Mullins sending plenty over too. Five of the last 14 winners came from Irish-based stables, including 2 of the last three. 15 of the last 20 winners were also bred over the Irish-sea. Scotland have a good contender to follow up One For Arthur's success back in 2017 - which at the time, made it only the second ever Scottish-trained winner of the Liverpool showpiece. This year they have Lake View Lad, who represents the invaluable colours of Trevor Hemmings who has won the race three times. Britain's best hopes fall with Rock The Kasbah - trained by Philip Hobbs, and Step Back from the Mark Bradstock yard. Just like Nicky Henderson's Valtor, all three horses will be looking to provide a first success for their respective yards. One final thing to do before finalising your selection is to check how many days ago your fancy last ran. 27 of the last 28 winners ran no more than 55 days ago, while 22 of the last 28 raced no more than 34 days ago. Best of luck with your picks, and we hope you found this helpful in selecting your winner.